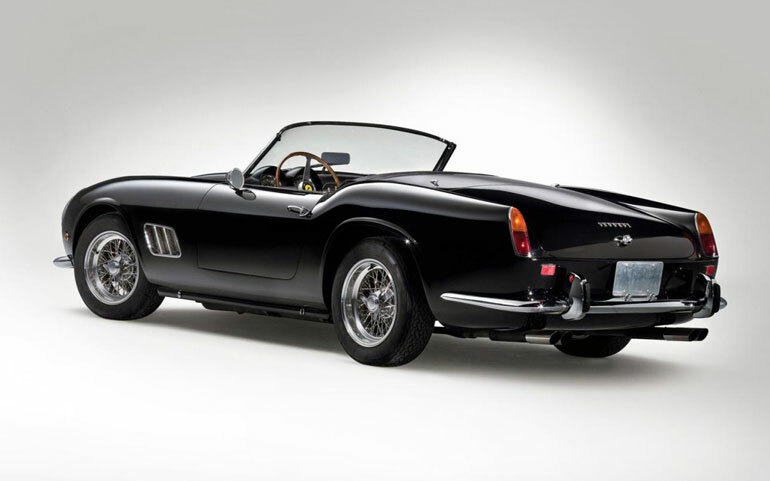 Usually, Most of the supercars in the world are auctioned at a very high rate in terms of money, but on May 18, 2008, there was a classic car manufactured by Ferrari which was auctioned at $10.9 million and that car was 1961 Ferrari 250 GT SWB California Spyder. The car was auctioned at a very high price because it has a very impressive history. The 250 GT SWB Spyder was featured in a Hollywood movie in 1986 a that was “Ferris Bueller’s Day Off” and was formerly owned by Oscar-winning actor James Coburn, in addition to that this car had also a very good performance i.e 260kw, 276HP, that is a very good figure for a classic car. The 1961 Ferrari 250 GT SWB California Spyder is basically a two-door two-seat convertible that measures 173.6-inch length, 66.5-inch width, 49.6-inch height, and a 94.5-inch wheelbase. The car is offering good front legroom with everything placed perfectly. 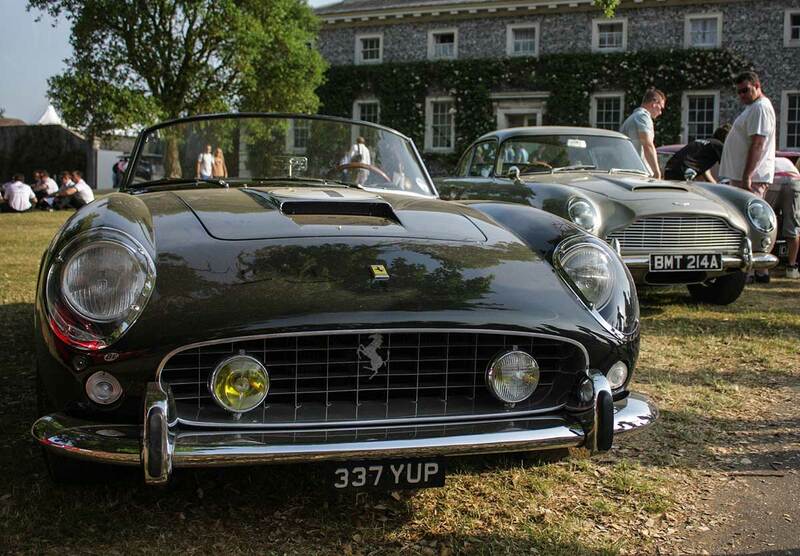 Ferrari has a track record of manufacturing high end, stylish and classic cars and so the 1961 Ferrari 250 GT SWB California Spyder is exactly a car representing the same charm and elegance of traditional Ferrari. The black exterior paint is making it extraordinary with a distinctive attitude. The car looks extremely sporty that make people stare at. 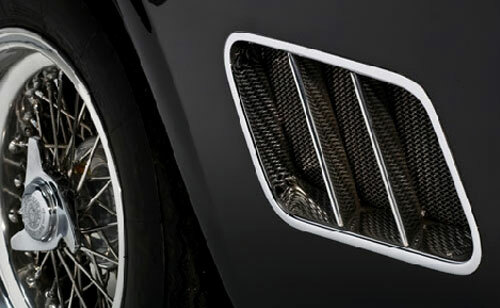 The interior is also very fabulous that is equally complementing the exterior of this classic metal machine. As the car is about five decades old so for sure it has an interior looking highly classic but precious and elegant. The steering wheel is large just like other old classic cars have, the instrument panel is well built with analog speedometer, fuel, and temperature clocks. The floor mat is adding a feel of luxury to the car. Ferrari never disappointed its shoppers in terms of performance and the classic 1961 Ferrari 250 GT SWB California Spyder is historical evidence of it. The car is equipped with a naturally aspirated 3.0-liter V-12 engine that was known for 276 horsepower and 203 lb-ft of torque which was a big hue at that time. The engine is mated with a 4-speed manual transmission and the car sprints from 0-60 mph in 6.1 seconds. The rear wheel drive is standard for the car. The fuel economy at that time was 13.7 mpg city/17.5 mpg highway. The total curb weight of the car is 2540 lbs. The Italian brand Ferrari manufactured only 55 units of the classic 1961 Ferrari 250 GT SWB California Spyder and at that time it was priced at about $9,500. It is really surprising that the car is sold at $10.9 million whereas initially at the auction it was expected to sell out around $5.5 million but just after the 30-minute bidding war ended with a double price. The winner of the auction is 43-year-old British Broadcasting Radio 2, DJ Chris Evan. The owners of new California’s are just happy but at the same time are wondering too.